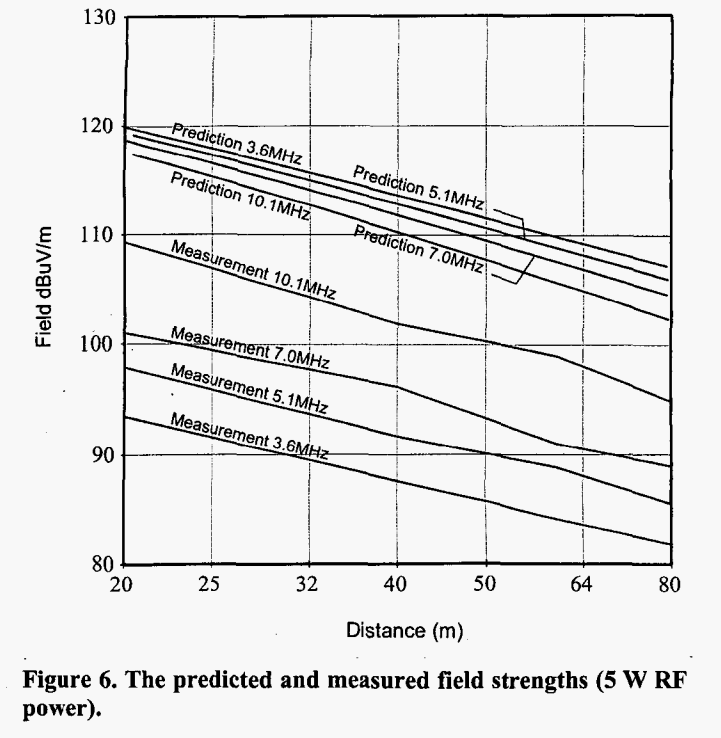 Above, Fig 6 from Boswell shows his prediction of the field strength of a 100% efficient loop at several distances, and measured field strength. 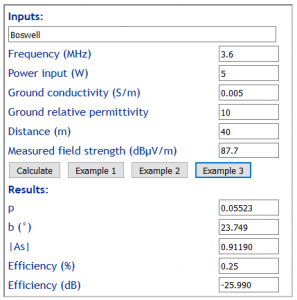 He calculated efficiency from the difference between predicted lossless and measured. Figures used for this article were scaled from the graph, so there is some scope for error in that process. 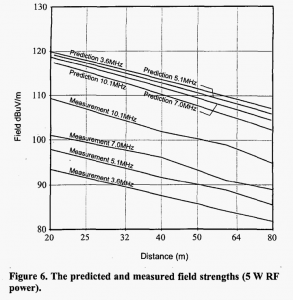 Above is an example calculation at 40m distance on 3.6MHz. The scenario is attached to the Example 3 button. 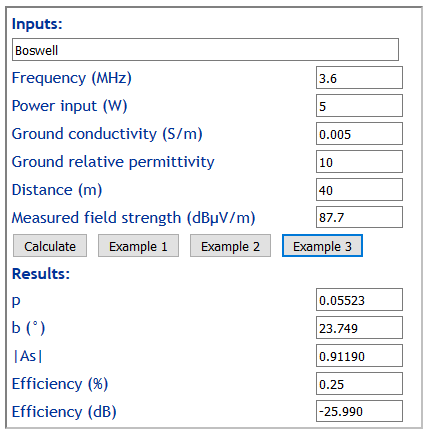 Above is a table of calculation results using the Norton t5 approximation built into Calculate efficiency of vertically polarised antenna from far field strength, and a comparison with Boswell’s calculated efficiency. 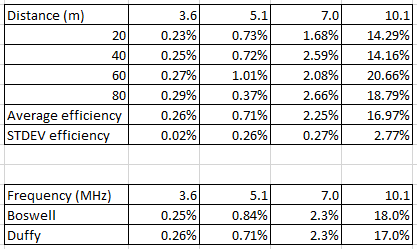 The reconciliation is best where standard deviation is small, and it is comforting that where standard deviation is small, the reconciliation is very good. A Boswell, A Tyler, and A White. Apr 2005. 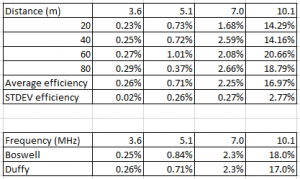 Performance of a small loop antenna in the 3-10 MHz band In IEEE Antennas and Propagation Magazine, Vol. 47, No. 2, April 2005.